The Jackson Five Family received a complimentary product sample to help facilitate this feature while working with USFamily Guide. However, all opinions are honest and our own! 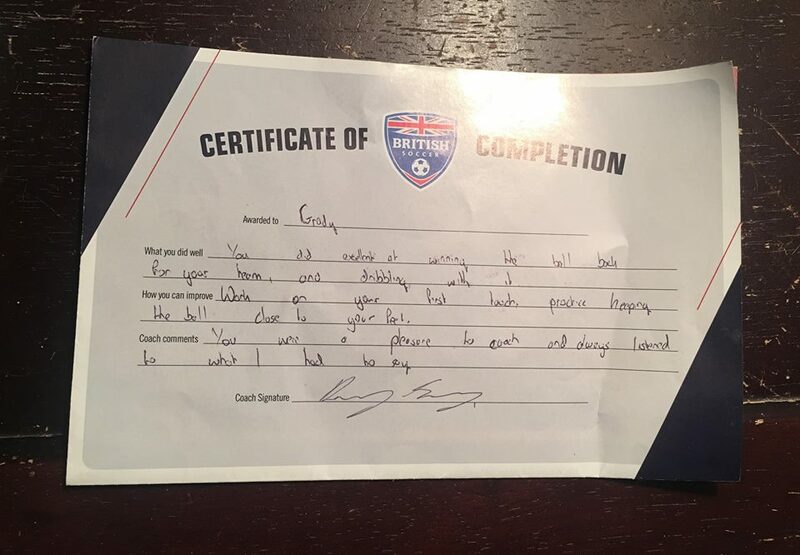 For the last 3 years Grady’s love for soccer has grown and each summer he’s attended British Soccer Camp. 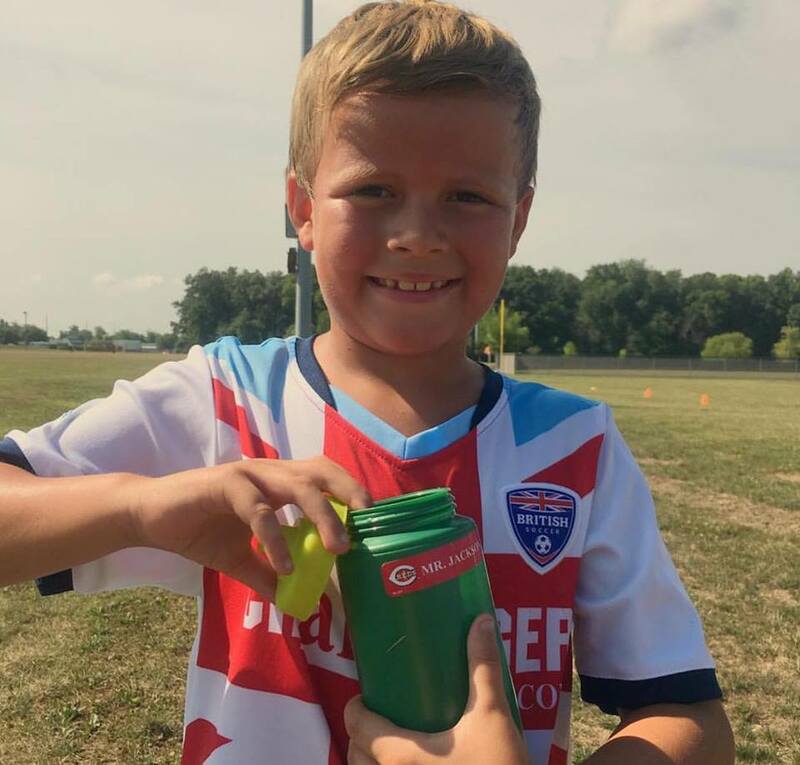 He went for his 4th time this summer and loved it just as much as the previous years. 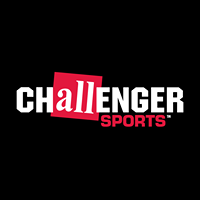 We love that the Challenger camps teach Respect, Responsibility, Integrity, Leadership and Sportsmanship all while the kids are learning fundamentals of the game and having FUN! 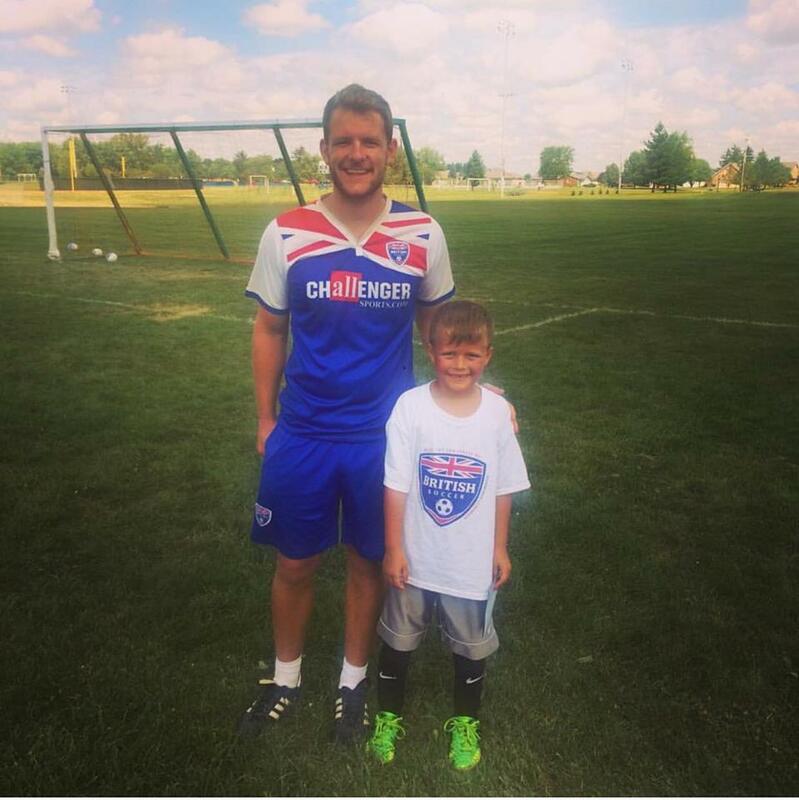 The coaches travel so far from home to teach the kids their love for the game which is so awesome. They are very hands on and really interact and engage with each and every one. 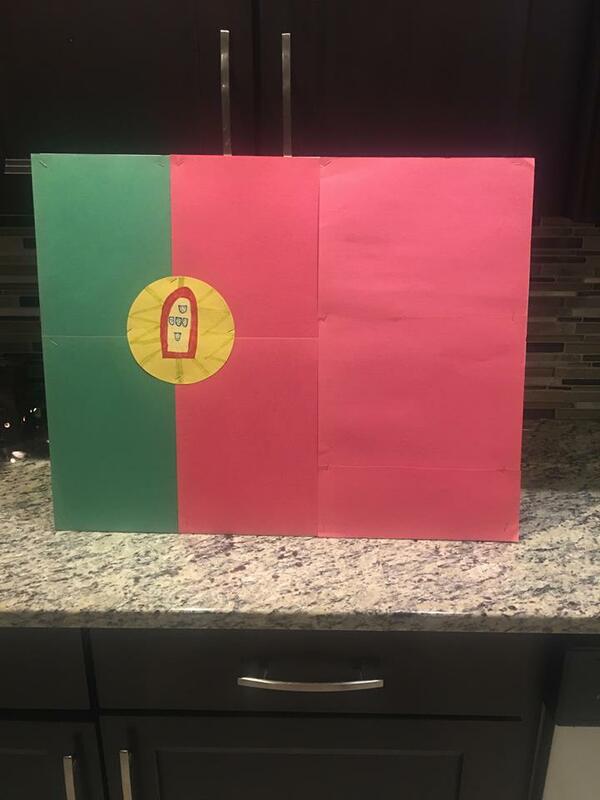 Grady loved the fun games they played, dressing wacky for wacky clothes day and making this huge flag for the country he was chosen to represent. 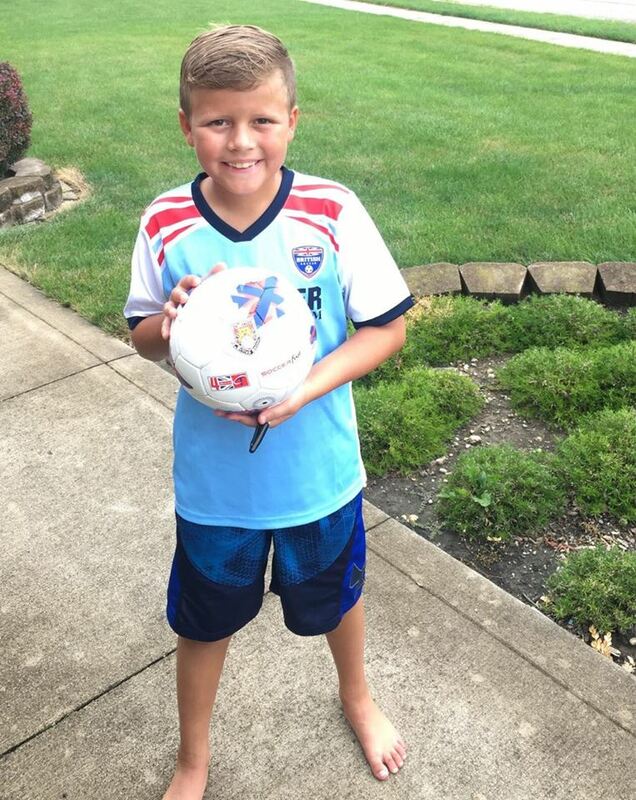 He really loves all of the fun things they get to do, as well as playing the game and learning from these guys! 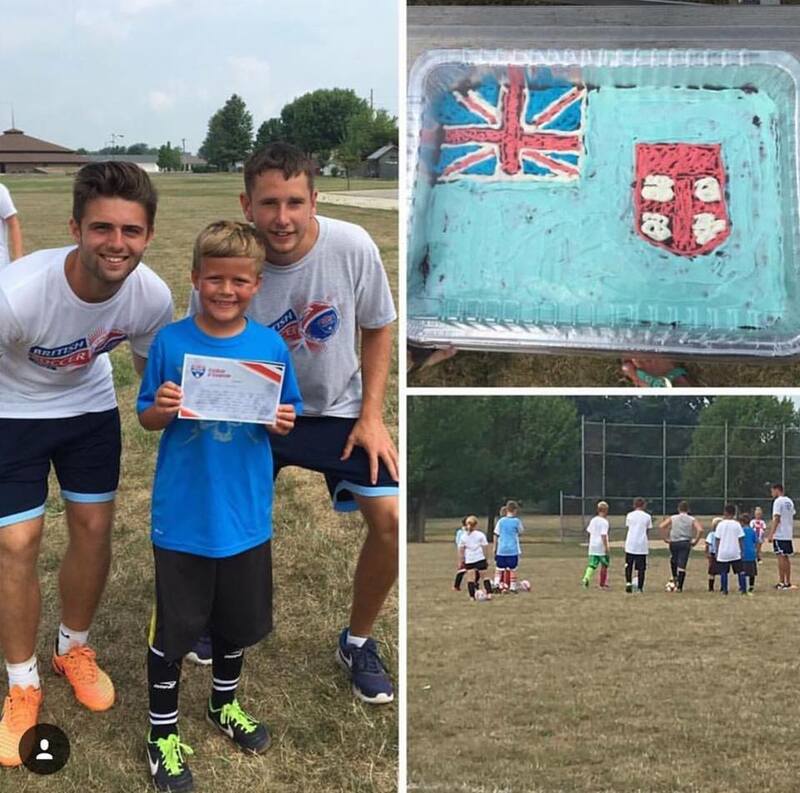 On the last day they have a ceremony to celebrate their completion of the program. 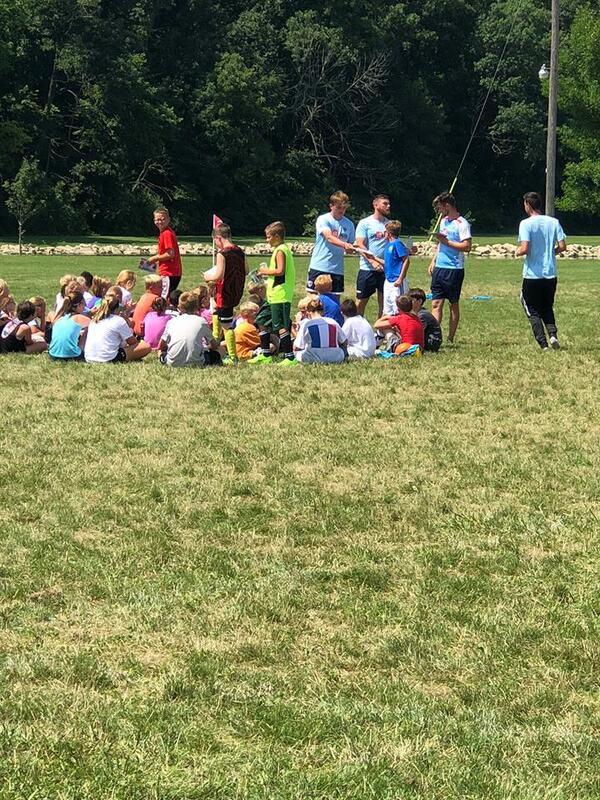 He’s always sad when the 5 day camp ends and he can’t wait until he gets to do it again next year! 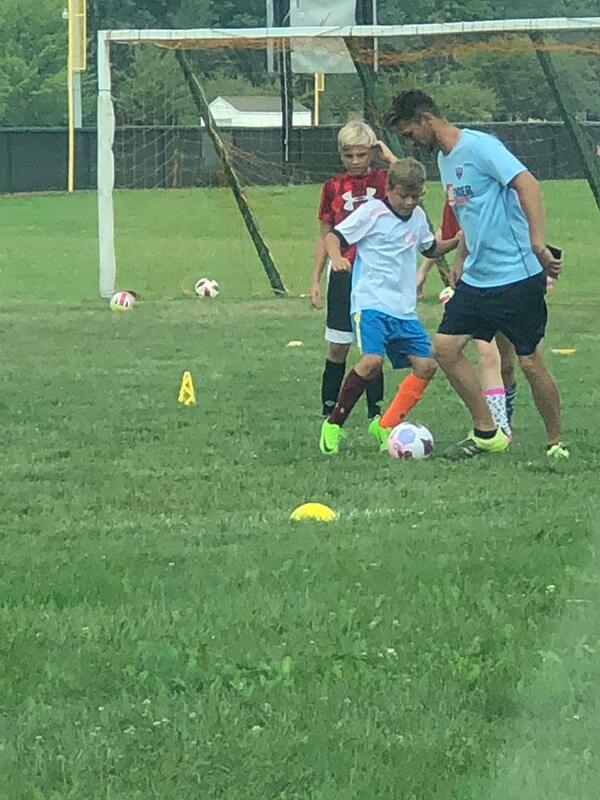 As he’s gotten older over the years he’s been able to move up to new groups and we’ve loved watching him use some of the skills he’s been taught at the camp. 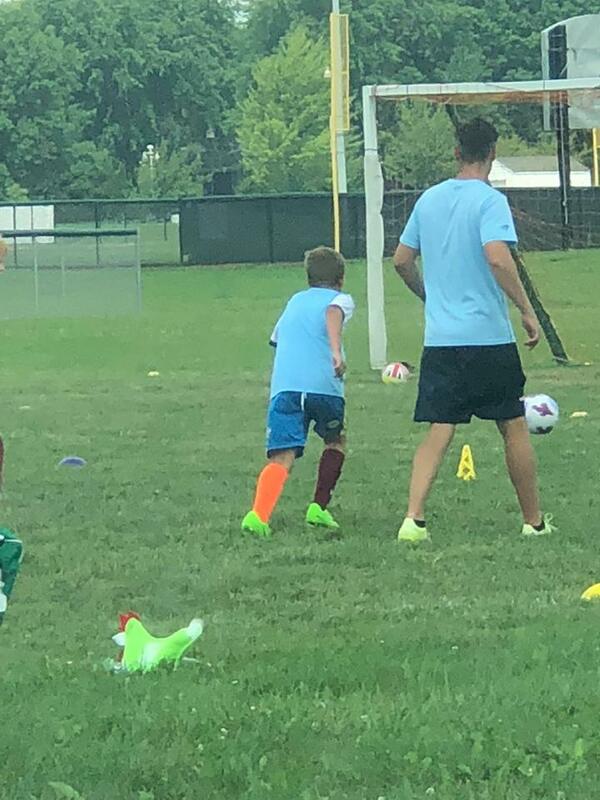 Soccer camp is always one of the highlights of our summer! 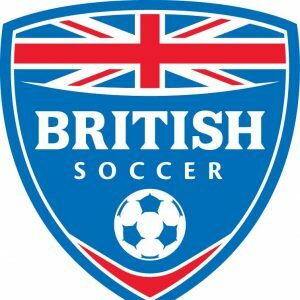 If you’re looking for a fun soccer camp for your child to participate in I highly recommend checking into British Soccer Camp.